Jermaine, I sent you a PM. Let me know what you think. Darrin... Glad you love it! Hope dads doing better btw! Ok..... 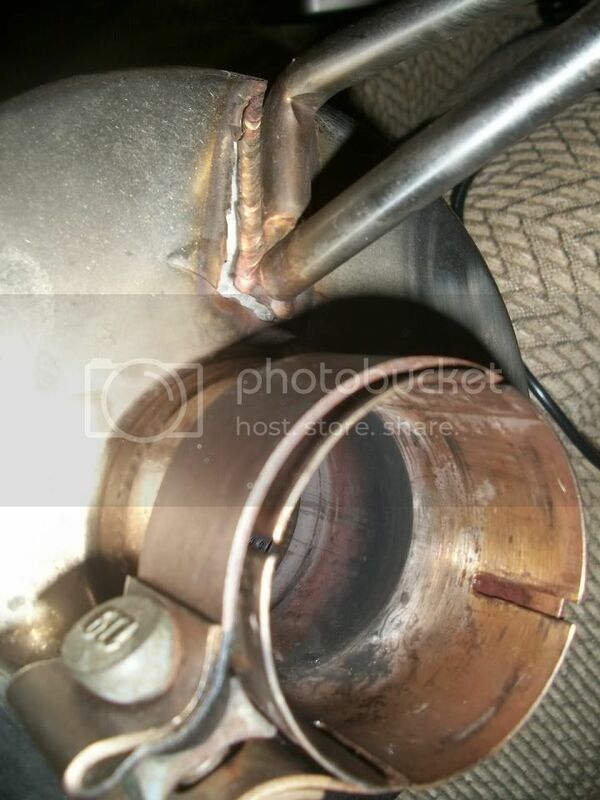 I have a complaint with this exhaust. Once I first got it, I loved it and couldnt stop staring at it. I kept it on my car for a couple months. I took it off my car yesterday to keep it since I sold my car today. When I was taking it off, I realized that the welds on one of the hangers are giving out. Got any pics of the failure? Email me pics of the failure and your name and address or even the new owners. I'll send a replacement unit asap. Thanks Jermaine, I will send you an email right after this with my information. Its really cool that you all would take care of it. Here are the pictures for those who asked to see it on the thread. Its wierd, as in they almost welded the hangers onto a chrome coating, and the the chrome coating is what gave way. Last edited by dcreech0; 12-29-2011 at 08:16 AM. I had a similar failure on a $2400.00 Titanium Arqray. It can happen to any system, Have you put stiffer engine mounts yet? I highly recommend it. The stock mouts are like Taffy and the motor rocks a lot putting stress on the exhaust hangers and joints. No, I did not have upgraded engine mounts. The elise it was on was pretty much stock except for this exhaust. I will make sure to keep that in mind though when I get my new one and put it on the Exige. Maybe it would be good for VF in the future to put a small disclaimer saying they recommend upgraded engine mounts with use of this exhaust. If that really was the cause. I would almost never recommend stiffer engine mounts. I can't stand the way they make the vibrate. Took the Exige out last night... I am loving the Exhaust Note! The black one in the YouTube video? I watch that one once in a while when I can't drive my car just to get my fix. I love the exhaust note on my car. Once in a while on the freeway when I am cruising, I blip it just to hear it roar. That's the car. Out again this weekend. Free Shipping all of May! 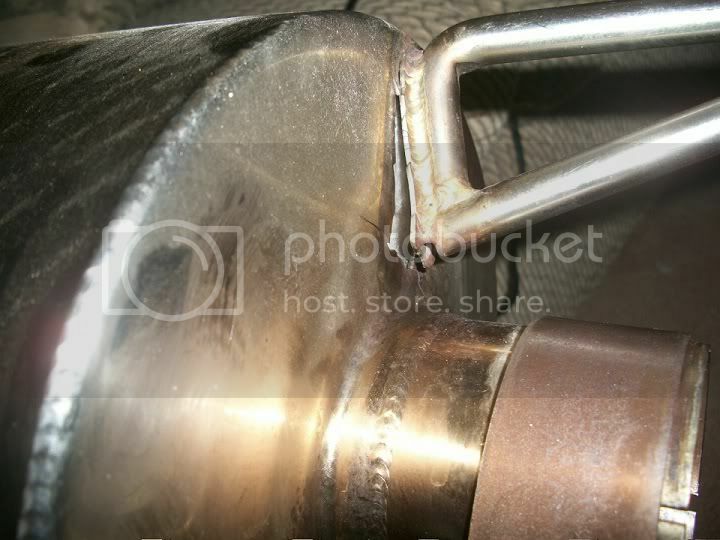 RS Exhaust Sale - $499 This week only! You're killing me! I am planning on buying one but just not yet.. Might have to see what I can do.